The newest generation of workers is getting ready to walk through your doors and get to work. Here’s what makes them tick. Just when you thought you had millennials figured out, along comes Generation Z. But how exactly do they differ from millennials — if at all? What does this next generation of tech-savvy, socially aware and entrepreneurial workers want? How can you attract, hire and retain them? New research from culture, compensation and career monitoring site Comparably set out to answer those questions by gathering data between March 2016 and April 2018. The study divided the millennial generation into three groups: older millennials, those between 31 and 35 years old; young millennials, between ages 26 and 30; and Generation Z, those workers aged 18 to 25. All three groups have one very important thing in common: They exist in a world where tech jobs are in great demand and in which technology shapes almost every facet of their lives, especially Generation Z, says Jason Nazar, founder and CEO of Comparably. "Gen Z is the generation that was born using the internet and grew up with all the conveniences of modern technology and social media, from the iPhone to Netflix to Instagram," Nazar says. "As a result, they're whip smart, quick, and savvy. In my years of experience hiring both Gen Z and younger millennials, they are the most confident, socially aware, and entrepreneurial generation of our time,” he says. That leads to a common misconception about Gen Z: They’re somewhat “anti-social” and prefer to communicate through their phones or via technology. That’s not entirely true, according to the “Gen Z & Millennials Collide @ Work” report, from Future Workplace, an HR executive network and research firm, and HR services and staffing company Randstad USA. The research, conducted by Morar Consulting across 10 global markets (U.S., U.K., Germany, Mexico, Poland, Argentina, India, China, Canada and South Africa) between June 22 and July 11, 2016, asked 4,066 respondents in two separate age groups (1,965 Gen Z members; 22 years of age and 2,101 Millennials; aged 23 to 34) about their preparation for work, as well as expectations and experiences of their workplaces. The research showed that, despite popular beliefs, when asked to rank their preferred method of professional communication, Gen Z would prefer communicating with co-workers and managers in-person rather than by email or by phone. “Generation Z and millennials want to be able to use any and all technology tools to enable every aspect of their lives, from work to personal, scheduling, planning social events. But when it comes to the nitty-gritty of talking about their careers and really getting down to work, driving their career, they want to have conversations face-to-face,” says Jim Link, chief human resources officer of Randstad U.S.A. While both Gen Z and millennials prefer a technology-enabled workplace with greater social media integration, 41 per cent of Gen Z say they prefer to work in corporate offices, according to the research. “A remote-only work environment is just not on their wish list. What is important to these generations is flexibility, which topped the list for the first time ever as the most important employee benefit — above healthcare, perks, benefits, they want flexibility,” Link says. Despite this tipping point toward workplace flexibility among the younger members of the workforce, only one-third of respondents’ companies offer it (34 per cent). Travel, too, is of major importance to these generations, according to the Future Workplace survey. While 71 per cent of global Gen Z and millennials have only worked in one country thus far in their careers, 56 per cent aspire to work in more than one country in the future. Those wanting to work in more than one country are more likely to say their companies are performing well financially or have better employee satisfaction scores, according to the research. The Comparably research shows that Gen Z workers in senior developer roles are paid an average of US$115,000 annually; nothing to sneeze at. Still, half of Gen Z respondents believe they’re not fairly compensated. That could explain why, when asked what their first priority would be if they were promoted to a high-level leadership role, 27 per cent of Gen Z respondents said they would increase employee pay. They were the only age group to choose this as their No. 1 priority; all other millennials and older generations alike were more interested in bettering the team’s vision/strategy, according to the research. Generation Z workers also are more likely to willingly disclose their salaries. When asked whether they’d share their salary information with their coworkers, 35 per cent of Gen Z and 32 per cent of young millennials said they would be “very likely” or “somewhat likely” to do so. Just 24 per cent of older millennials said the same. Older generations were least likely to say they would be transparent with their coworkers about salary, according to the Comparably research. Salary aside, Generation Z is almost evenly split between desiring work-life balance (29 per cent) and career advancement opportunity (26 per cent), as their next top priorities. Thirty-seven per cent of older millennials say work-life balance is most important to them in a job after salary, the research showed. The research also revealed that more than half of respondents in all the millennial age groups believe that having kids is detrimental to a successful career. Millennials were the first generation to grow up in an all-digital age and to really understand how technology could blur the boundaries between work and home; many times they saw their parents working their fingers to the bone and overly stressed about work, Link says. With the advent of technology, they understand that you don’t need to be chained to a desk in order to accomplish tasks, work and collaborate and complete projects, says Link. “Millennials and Generation Z see less of a segregation between work and life — they’re more about balancing that and making it seamless so work gets done anywhere, anytime; without sacrificing either one. But they do seem to enjoy coming to the office for communication and collaboration, when they can,” he says. The Comparably research reveals that nearly half, or 45 per cent of Generation Z respondents, say they would like to start their own business in the next five years; perhaps that’s because they, more than any other age group, is concerned about the impact automation will have on their job prospects. Diversity, inclusion and belonging should be core values of your organisation and can impact your ability to attract and retain an entire generation of talent, not just talent from underrepresented groups, says Pranam Lipinski, co-founder and CEO of campus recruiting startup Door of Clubs. In a recent Door of Clubs survey, 5,000 students were asked their opinions about what’s important to them as they enter the workforce. The No. 1 cause Generation Z cares about in the workplace? Equality. “When you’re talking about retention and Gen Z specifically, the No. 1 factor in trusting an employer is equality and how equality-minded they are,” Lipinski says. “Generation Z grew up under President Obama and all the progress that was made, socially. So, they prioritize equality very highly; it’s built into their DNA. They are not going to accept anything less. They care very deeply about seeing women and people of color in leadership positions,” he says. This next generation of talent also values authentic relationships in the workplace and wants to facilitate a sense of trust with those they work for and with, he says. Because of this, if members of this generation don’t see people of colour and women in leadership roles, they aren’t going to believe that the company is serious about their diversity and inclusion (D&I) initiatives, and that’s a major strike against them. They won’t want to work there, or they’ll leave, Lipinski says. Thus, companies need to double down on D&I programs, as well as mentorship and leadership opportunities, Lipinski says, and make sure D&I is top of mind for every employee. All of these factors impact engagement, morale, and an employee’s likeliness to stay with an organisation, he says. “These issues matter so much to GenZ — and it’s concerning that companies don’t recognize this,” Lipinski says. “You know they’re researching your company before they even apply, so to go onto an organisation’s leadership page and see that, even if they don’t have equal representation, not one executive bio mentions diversity and inclusion is just mind-boggling,” he says. 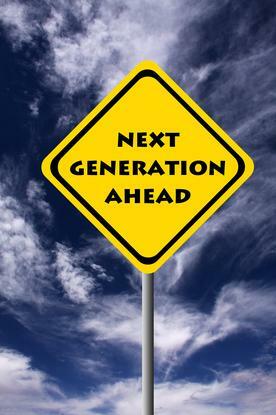 What does all this mean for organisations trying to lure and retain talent, especially from the younger generations? It’s not about flashy perks, or billion-dollar campuses, it’s about flexibility and the ability to hone communication skills, foster growth and career development, says Dan Schawbel, research director at Future Workplace, and author of Promote Yourself and Me 2.0. “What all this really tells us is that communication is really important. And millennials and Gen Z are very focused on how to make the workplace better for everyone, regardless of age. The workplace should be flexible and tech-enabled, and should accommodate and embrace all sorts of people, personalities and work styles,” Schawbel says. That’s great news for organisations, Link adds, because it means businesses aren’t looking at a major overhaul of facilities, benefits and perks, but rather more manageable tweaks to the way they grow and develop their people, processes and policies with an eye toward facilitating increased communication and collaboration. “Whether it is in a corporate office, at home or in a coffee shop, Gen Z workers prefer collaborative work environments. In fact, our study found that global Gen Z workers named ‘co-workers who like to collaborate’ as the type of worker who would help them do their best work, second only to co-workers who work as hard as they do. Furthermore, more than half (54 per cent) of Gen Z respondents said the people they work with is the top workplace attribute that enables them to do their best work. Companies seeking to be an employer of choice must leverage the collaborative revolution taking place and provide the technology, tools and processes that facilitate and encourage it,” Link says. “The takeaway from our latest Comparably study is that these young professionals demand transparency, fair pay, and work-life balance in the workplace more than any other generation. They're also willing to work hard for it because they've set a clear career path for themselves at a young age," Nazar says.